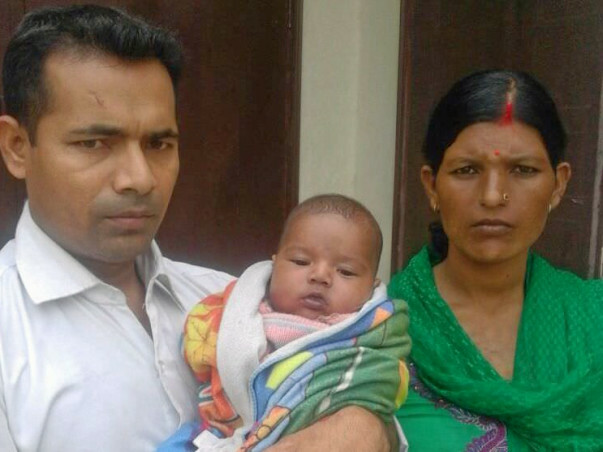 3-month old Vikram is suffering from a severe heart disease and urgently needs a heart surgery to treat his condition. Unfortunately, Vikram's parent do not have the funds to pay for the treatment and need our help to undergo the treatment before it is too late. Your contribution can save Vikram's life and give him the treatment he deserves. Thank you for the wonderful support that you have shown towards Vikram. However, I have some unfortunate news to share with you today. 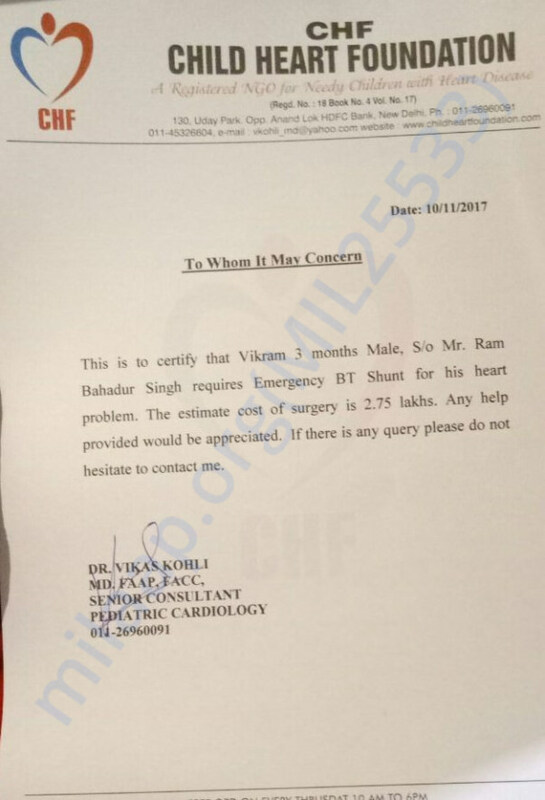 Vikram was scheduled to undergo the surgery in a few days. However, he developed a few complications and the doctors could not revive him. Since, the funds raised via this campaign could not be utilized towards his treatment we will be transferring the funds raised towards Pihu's treatment. "It’s difficult to get Pihu to stay still or sit in one place. She's a toddler. She wants to discover the world. However, everything she does, talking, crawling, walking, or even sitting up for a while makes her turn blue. She cries out of pain. She even began having persistent fevers and loose motion. "~ Avinash Jaiswal. We do understand that some of you might like to opt for a refund. Please reply to this email by 9th August and Milaap team will be happy to initiate the same. Thank you for your wishes and donation. His surgery is scheduled soon.